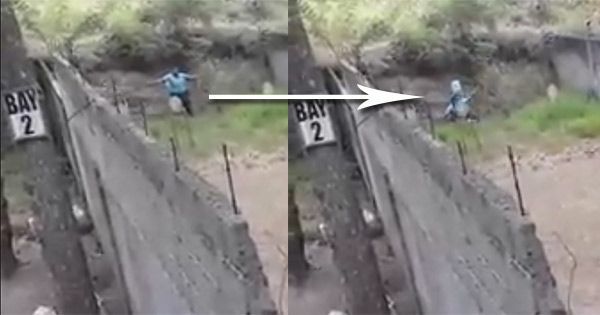 A video that captured an event where a police official in Negros Occidental accidentally shot a fellow cop during training has gone viral. According to a report published on Watchmen Daily Journal, Victorias City PNP Commander Police Superintendent Frederick Mead shot Police Officer 1 (PO1) Marvin Gustilo in the knee during a firearms proficiency exercise on a gun range. Mead explained that he was in the middle of training when he accidentally pulled the trigger of his rifle and hit his subordinate. He personally brought Gustilo to the nearest hospital. The police official was relieved of duty to prevent him from influencing the investigation which, according to Negros Occidental Police Provincial Office (NOPPO) Acting Director William Señoron, was conducted to determine if there were lapses incurred by Mead during the training. Señoron reportedly denied rumors that the incident was captured on video. Based on Ledesma's post and the video, Mead apparently told Gustilo to hold balloons as his targets. He was successful in hitting the first ballon but failed miserably with the other. As a result, he accidentally shot Gustilo in the knee. Most of the Facebook users who commented on the post compared the act to a military training exercise called "confidence firing." In a "confidence firing" exercise, a Phillipine Marine Corps elite sharpshooter "must hit the balloon held up by his partner at a distance of 50 meters," according to a GMA News report. "Obviously, failing the test could result in the serious injury, or death, of his closest comrade-in-arms."